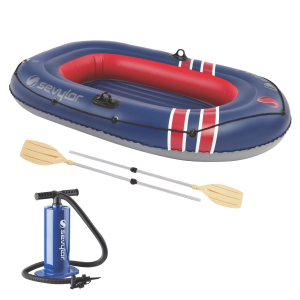 The Sevylor 1-2 Person Tow Rope is a multi-purpose multi-colored 3/8 Inch rope designed specifically for use with towables that ride 1 or 2 people. 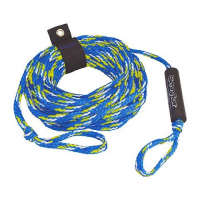 The rope is 60 feet long and WSIA approved. 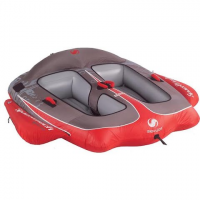 The Space Attack inflatable towable from industry leader Sevylor delivers fast-moving action in the boat`s wake combined with the nice "tucked-in" feeling of a recessed cockpit.